We are currently conducting integrative studies to understand how the human cardiovascular system is affected by both health and disease. Interested in participating? We are currently enrolling both healthy able-bodied and spinal cord injured individuals. Check out current projects in the “Projects” pull-down. In addition to directing the Human Cardiovascular Control Lab, Dr. Minson is also co-director of the Evonuk Environmental Physiology Core. Dr. Christopher Minson’s research focuses on topics related to integrative cardiovascular physiology in humans. 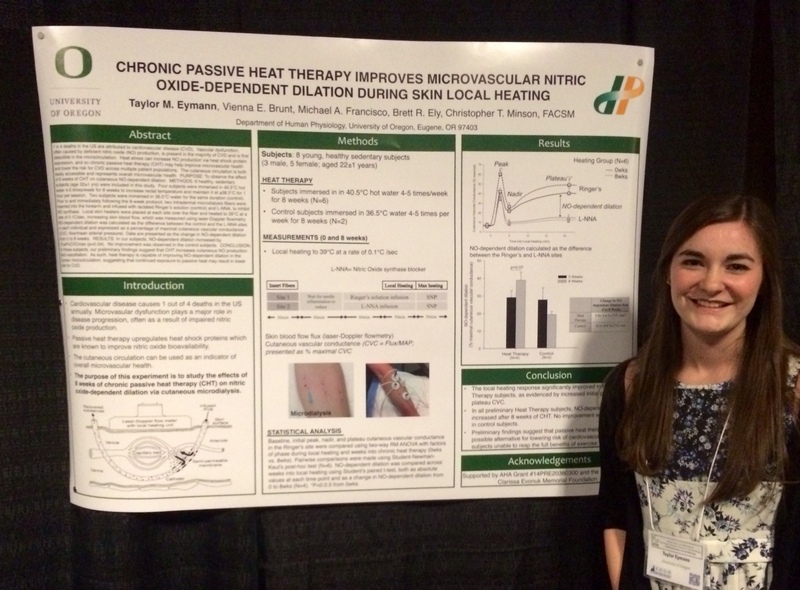 Current studies are investigating issues related to improvement of cardiovascular and metabolic function using chronic heat therapy, and understanding the relationships between the endocrine, autonomic, and cardiovascular systems in women in health and disease. 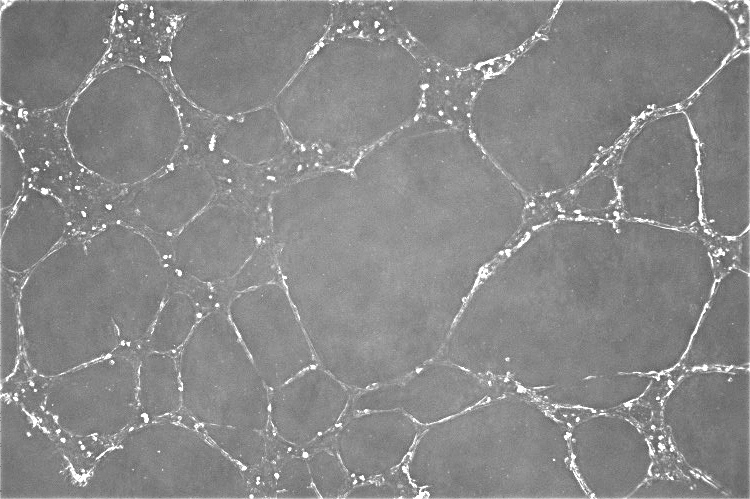 Various approaches to measure autonomic, endothelial, vascular, and microvascular function are employed in much of his research. 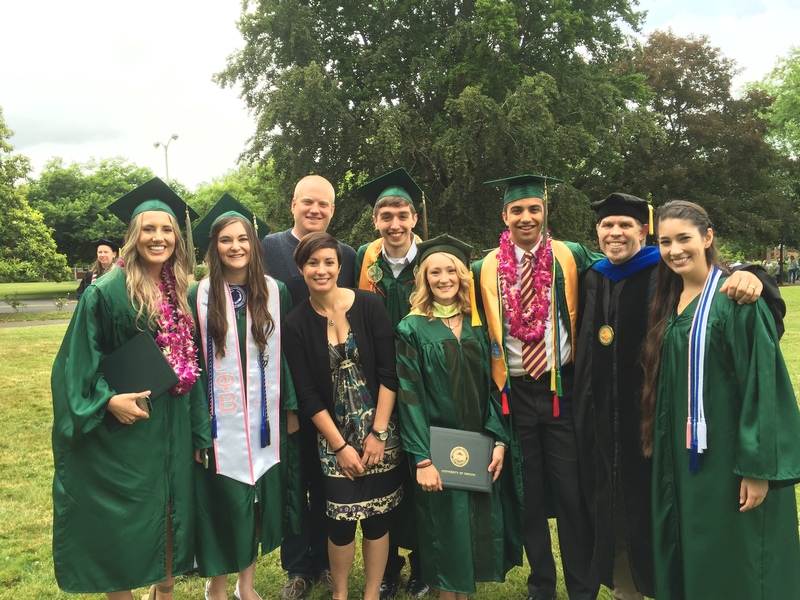 CONGRATULATIONS TO THE RECENT LAB GRADUATES! 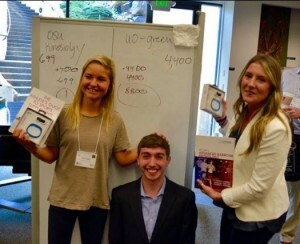 After winning the College Bowl, a undergraduate jeopardy-style trivia competition, at the regional conference for the American College of Sports Medicine Northwest Chapter, Jared Steele, Alysia Lovemark, and Keeley Debar (Halliwill lab) earned a free trip to Boston to compete in the national competition. 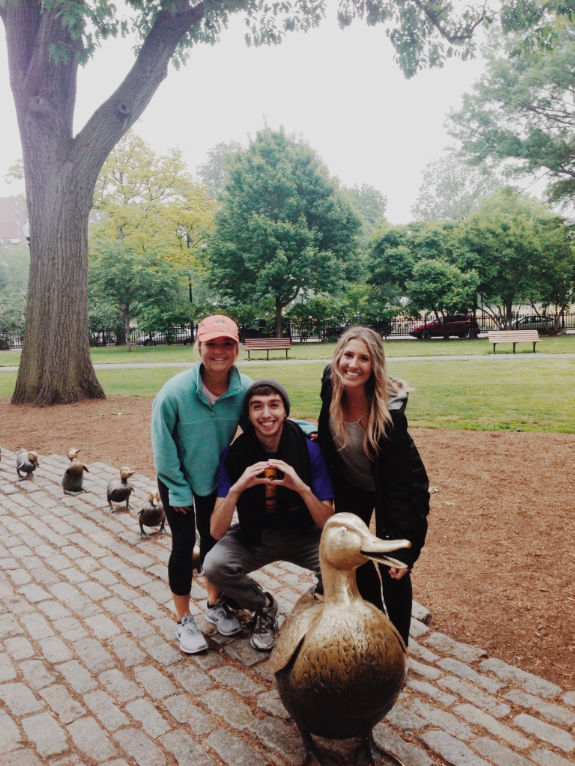 They tied for 4th place, but more importantly, had a great time at the conference and enjoyed the city of Boston! The lab recently attended the annual regional conference for the American College of Sports Medicine Northwest Chapter. Undergraduate Taylor Eymann received an award for best Environmental Thematic Poster. 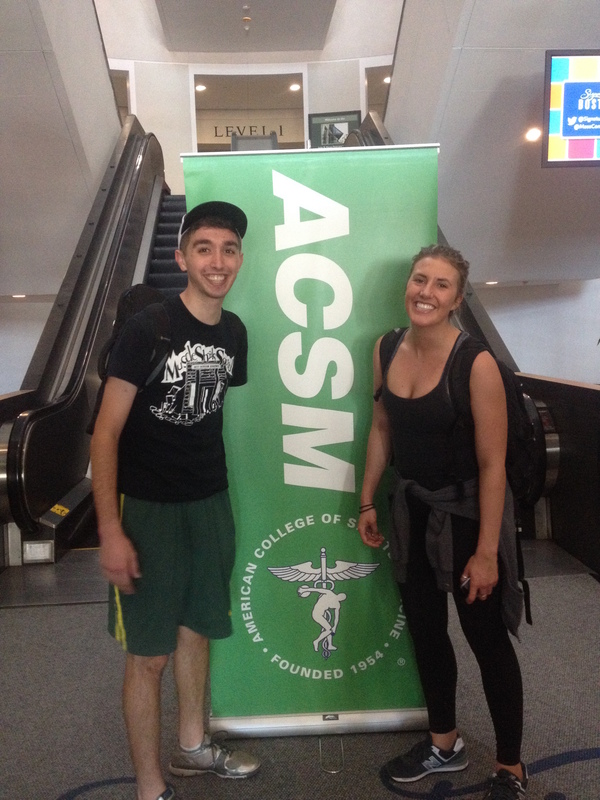 Jared Steele and Alysia Lovemark were on the team who won the College Bowl, earning them a trip to the national ACSM conference in May. Congrats! 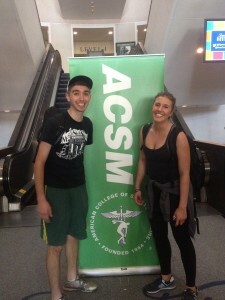 Click here for more about our trip to the conference. Left to right: Keeley Debar (Halliwill lab), Jared Steele, and Alysia Lovemark take home the trophy for the ACSM NW annual College Bowl. 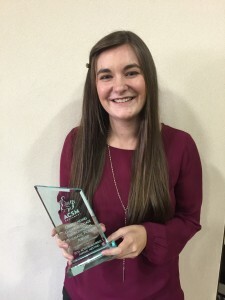 PhD student Brett Ely offers her expertise on how to track hydration and hopefully prevent heat stroke, based on her previous work done at the US Army’s Research Institute for Environmental Medicine. 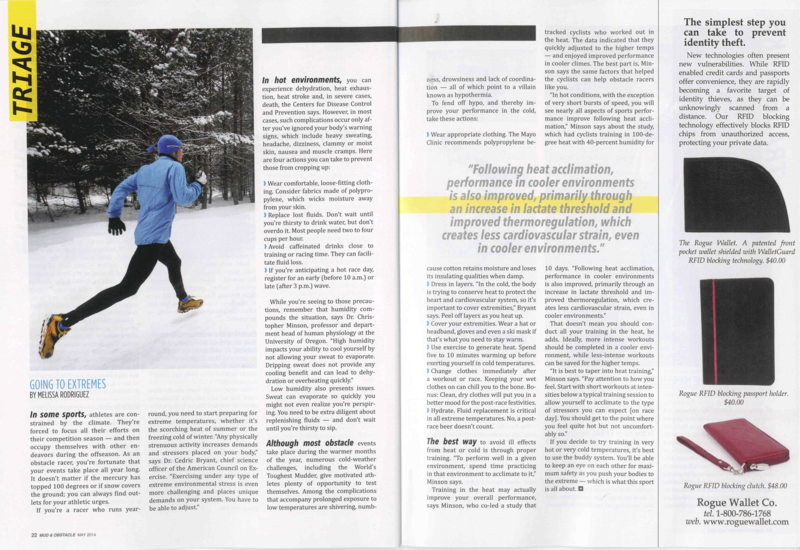 Dr. Minson weighs in on muscle twitches, numb toes, runny noses, and more in this article from Men’s Health. Dr. Minson describes how aging affects athletic performance in his recent article published in The Conversation. 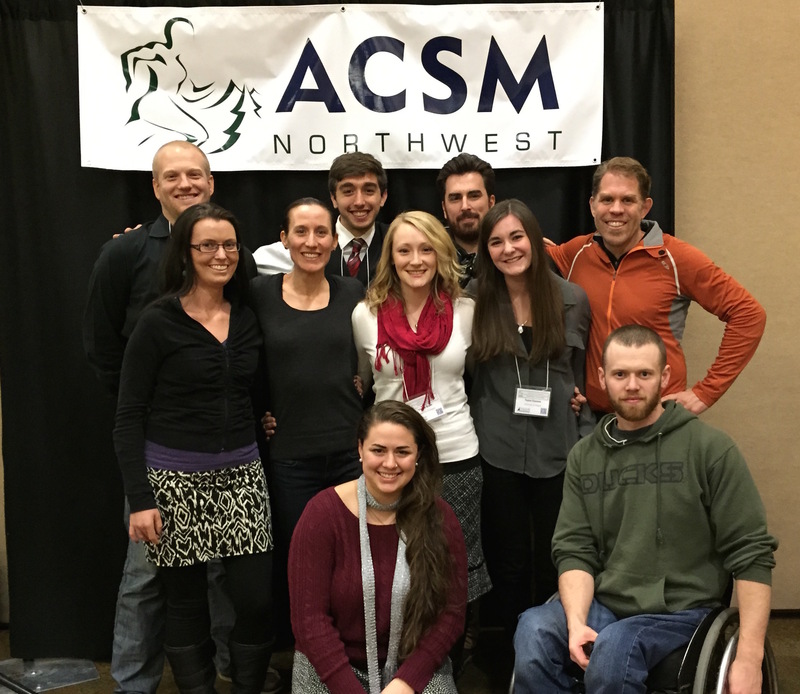 Our lab group attended the ACSM NW regional chapter meeting in Bend, OR this past weekend. We were able to take three graduate students and six undergraduates with us to Bend, all of whom got the opportunity to present their current research projects in poster format. We recently traveled to Kruger National Park in South Africa to attend the 2014 International Symposium on the Physiology & Pharmacology of Temperature Regulation. Dr. Minson was an invited speaker for the conference, presenting his work on peripheral adaptations to heat acclimation. 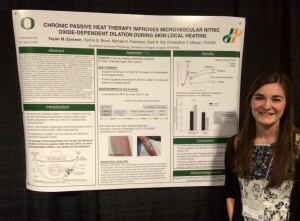 Vienna Brunt, Brett Ely, and Michael Francisco all presented new data related to our passive heat therapy and exercise & environmental physiology projects. Check out the pull-down for “Projects” for more information on these research areas. 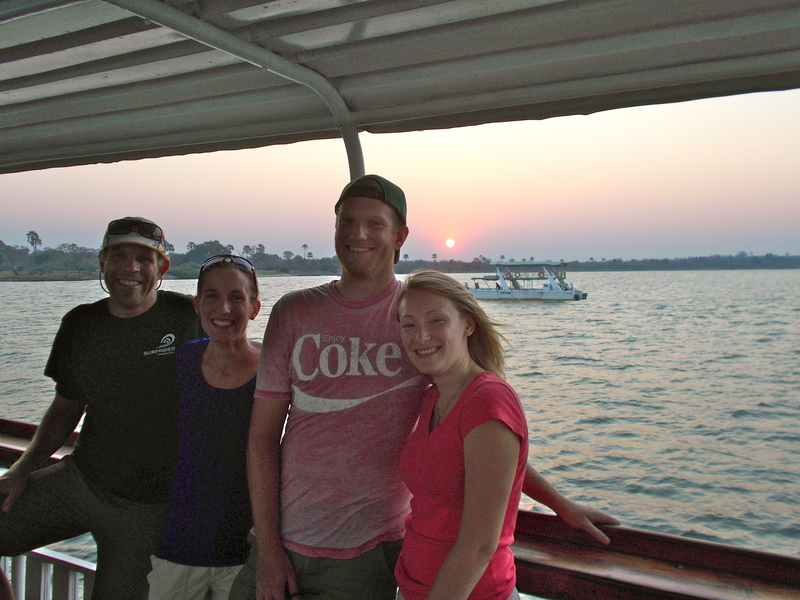 Our lab group enjoying a relaxing evening on the Zambezi River in Zambia after an eventful conference. This is the first endowed professorship established for Human Physiology through a generous donation from Dr. Ken Singer and his wife, Kenda. Congratulations Chris! 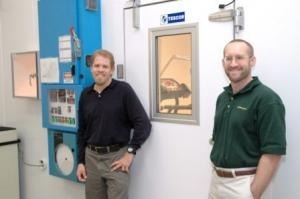 Dr. Chris Minson chimes in on this feature about heat response and how heat kills. A recent publication on cutaneous vascular health in young cigarette smokers from Dr. Naoto Fujji, Vienna Brunt, and Dr. Minson was the topic on a recent podcast from the American Physiological Society that featured Dr. Minson and Dr. Lacy Alexander (Penn State), a previous student in the lab. You can find the original study under the “Publications” tab. Dr. Minson recently got back from a two-week trip to Melbourne and Cairns, Australia. During his trip, he helped the Melbourne-based Australian rules football club adapt to playing in the heat in order to prepare for their upcoming season. An article describing his trip can be found on the UO Alumni Association website. 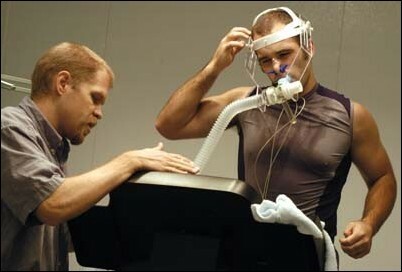 Santiago Lorenzo’s dissertation work on the performance benefits of heat acclimation is both hot and cool conditions received wide-spread attention, including press releases from the University of Oregon and an article in Velo News. Check out the full articles with the links below.